On January 4, 2017 I pointed out that I felt that a new Florida Resident ticket deal seems to hint at a possible opening date for Pandora: The World of Avatar at Disney’s Animal Kingdom. Now we have a bit more evidence for the opening timeframe. Walt Disney World is currently arranging a major media event that begins May 21, 2017 and will run for an entire week. Most media events are 1 to 3 days, so this is a bit unusual, but they are hoping to attract “media” from around the world and want to show off Avatar, Rivers of Light and discuss other upcoming projects with those guests. I mentioned in the article mentioned above that I believed that the Grand Opening will be Memorial Weekend and that seems right in line with this event. Typically, guests are allowed “test and adjust” periods (locals call this Soft Openings) for new attractions like this one that take place prior to “media” events and the Grand Opening. The Frozen Ever After ride didn’t experience any “test and adjust” periods, but most rides do take part in that procedure. That means it’s possible that some points prior to May 21 MIGHT be able to take part in the new rides before the Memorial Weekend Grand Opening. I’ve also been told that Disney Vacation Club members should receive the opportunity to preview the new attractions before the Grand Opening. No word yet on Annual Passholders, but it’s my opinion that Annual Passholders should not be left out of the opportunity! Any updates for DVC access? We just book last minute for 5/19-5/21. Kenny, what are your thoughts about AK moving to a tiered fast pass system like Epcot and HS following the opening of this and river of light? We are going in November and are excited to experience both but hopefully without crazy lines. Also, what do you think it will mean for AK park hours overall? Thanks! Guardians of the Galaxy is not one of the Marvel franchises included in the deal with Universal. WDW could use them like they did with Dr. Strange. I’m so glad that I pushed my trip back to this November! It was originally supposed to be this past November, but now there is going to be so much more to see!! I’m excited Thanks for all you do, Kenny! May is going to be huge for Disney, apparently! 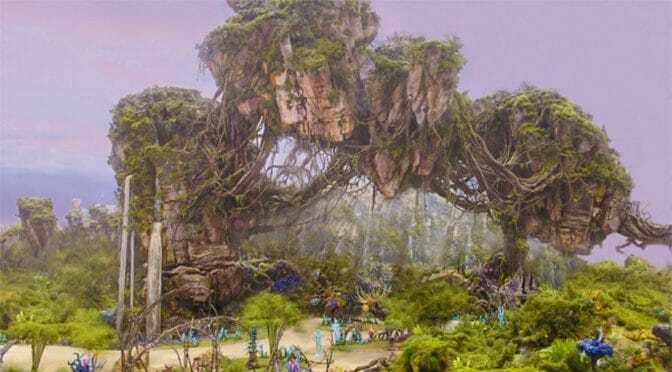 Besides Pandora, Any rumors of Guardians of the Galaxy or new Pirates of the Caribbean character meet and greets at any of the Disney World parks in May? Is there any possibility that this media event could be associated with the 40th anniversary of the release of Star Wars on 5/25/17? Perhaps that’s why the event is longer than usual? I have a trip planned 5/28-6/9, so believe me, I desperately want this to be about Pandora. It will be about Pandora because they want the press to promote the opening and spread the word for them. DVC member/AP holder with plans to be there May 17-22 YAY! It is too much of a stretch to say they could do soft openings the first week of May when we are there? Is there any word as to what attractions will have an option for FastPass or when those options may be available to select for people traveling in the summer? Oh! Good to know! It sounded like it, So is soft opening for plain old ticket holders, too or just the DVC and APers? Still so much to learn! Thanks Kenny! “Test and adjust” or Soft openings are open to anyone when they occur. They could select a few people, open the gate for a short time or just open the ride with no notice. oooh! Exciting!!! We’ll be there May 20-28!! Sadly, we’re not DVC owners or APHs, And we’ve only planned one day for AK. BUT! We have hoppers, so if there’s a chance for a soft opening, we can hop I guess. What do you think the chances of a soft open is to the general public? Might there be a chance for that sort of magic? How about toy story land ? Any month or year ?